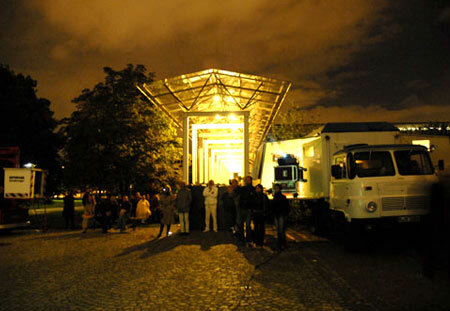 Memory In Motion will present media art that seeeks for new ways of remembrance by using the public space as a stage to challenge the neglecting of history with artistic means. The urban space, that makes history visible as architecture, offers the oportunity to connect artistic questioning with concrete history. Memory In Motion is an intervention into the public space that question the handling of the past, the construction of historiography, the attribution of identity, social and ethnic codes and their reflection in society right there where such a basic discussion should start: in the public. Public space is not a fixed space, it is everywhere, constantly in change, consequently we will be a project in motion, using different spaces for different works and different questions. 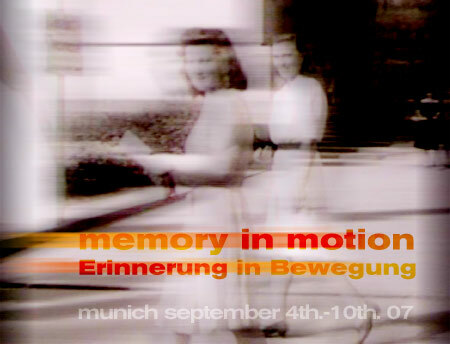 Memory In Motion will be accompanied by related screenings, we hope to realize a catalogue and/or a DVD to document the whole project.